For some seasons now, the skinny leg is no longer the reigning epitome, however, appearances will remain frequent with many current trends utilising such a cut. Clearly, the wider and lengthier forms are liaising trend-wise with the relaxed fit, where such classifications perfectly suit the denim finish. The display of denim in 2019 presents a varied picture from on-trend fuller lengths to throwback noughties boot cut. The utility ambiance is also accomplishing the workplace as the casual apparel takes on the luxury vibe movement. This seems to be the on-going style crossbreed in fashion at present; a mixture of leisure with chic, producing looks that are both versatile and contemporary; a category denim falls effortlessly into. I need not remind of the spontaneous take on things at present, meaning formal can be either mixed or sporadic. The luxury blend is allowing items that were once considered too off-the-cuff for work take on a new facade. As we finally reach the spring season, its time once more to prepare and evolve our wardrobes in anticipation for warmer evenings and longer days. In that case, why not delve into something new, or maybe finally try that trend that has been tempting you. The paper bag waist is back with a vengeance, and coincidently, appearing in denim for SS19. With this style, I find its a great alternative to high waisted jeans; a favoured rise in fashion, plus a comfortable option whilst still looking trend ready. The boyfriend fit is once more popular for this season, where the appearance for such a cut is faded finishes and cropped legs. Distressing is still messing for 2019, with the ragged look remaining a firm favourite for many fashionistas. Conveniently, such a finish falls on a spectrum; meaning one has a choice in how far they want to pursue such an image. Therefore, if you do fall into the subtle section, you can always opt for the unfinished hem as this still proves to be an eye-catching statement. 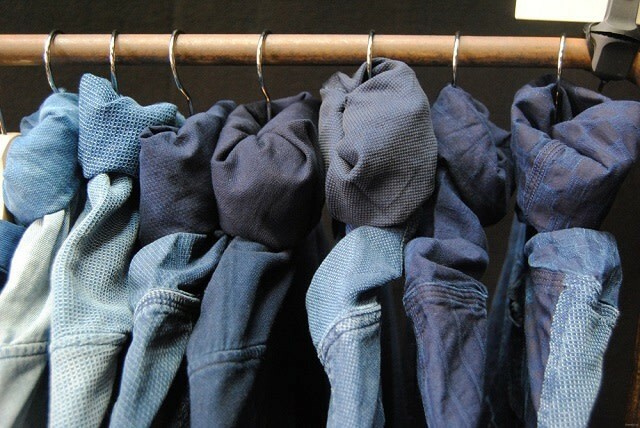 Whatever your style, its no mystery that jeans and denim are a boundless go-to with substantial selections to choose from. I myself have succumbed to the denim fad of the season, as I managed to purchase the sold-out Holly Willoughby boiler-suit from M&S. It was a long-winded process but I didn’t give up and it was certainly worth the wait. Therefore, whether you want to brave a boiler-suit or tame a wide flare, you can never go wrong with the right choice of trend-denim.